Microsoft published a list of 23 titles that will be available on the release date of the Xbox One console. It is worth noting that many of these titles will be available on PS3, Xbox 360, and/or WiiU. Which of these titles are you grabbing on day one? 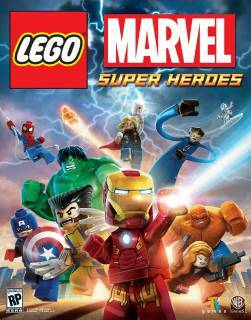 LEGO Marvel Super Heroes Cover Art Revealed! This is the cover art for the upcoming LEGO Marvel Super Heroes. I can’t wait to play it with my boys! When LEGO expanded their product line beyond building toys and into games, we were thrilled. Everyone loves a good LEGO game. The LEGO series of video games has been a delight to family gamers for years now. We’ve played as Indiana Jones, Batman, Luke Skywalker, Harry Potter and more. This Fall we will get a chance to step into the LEGO version of the Marvel universe. Are you as excited as I am? Our boys cheered when they saw the E3 trailer. LEGO Marvel Super Heroes will launch this Fall on pretty much every device capable of playing games. LEGO has built the game to work on next generation consoles like the PS4, Xbox One, and WiiU. It will also be available for current generation consoles like the PS3, Xbox 360, and Wii. They also did not leave out handheld devices like the 3DS and PSVita. The game will feature over 100 Marvel characters. We can make some assumptions regarding a lot of them, but LEGO is being mysterious about exactly who will be featured. Those are some big names. Who do you think is missing? Sound off in the comments! The internet exploded this afternoon as Microsoft announced that they were reversing their DRM decisions for the Xbox One. Experienced gamers bombarded social media as they shared their numerous opinions on Facebook and Twitter. This was followed by intense discussions between teen gamers, leaving their parents confused and in the dark. If you’re like a lot of parents, you have no real idea of what this whole mess is about yet. I’m going to take this opportunity to fill everyone in that might be wondering. Let’s get started; shall we? Rumors had been flying for more than a year that the next generation of game consoles was going to be very restrictive when it came to used games and offline play. We heard reports from “reliable sources” throughout the process that confirmed all of this, but we didn’t know the details until Microsoft came out two weeks ago and announced their stance. They put up a post on their blog that indicated that the Xbox One would require that the console be connected to the internet at least once every 24 hours and that the transfer of games from one account to another would require an undisclosed process and a potential fee. The announcement of this process limited the viability of sharing games with friends and family and could have crippled the used market. Sony responded by announcing that they were making no such changes to the DRM for their games during their 2013 E3 press event. This prompted a massive spike in pre-orders of their Playstation 4 compared to the Xbox One. Fans, media outlets, and bloggers shouted from their proverbial rooftops about how tone deaf Microsoft was with regards to the needs and desires of their potential customers. The feedback was so loud and so persistent that Microsoft was backed into a corner. Today, they responded to the public outcry by walking back all of their DRM statements and confirming in a blog post that the game licensing will work for the Xbox One the same way that it does on their current product, the best-selling Xbox 360. People can purchase games, sell them to stores, share them with friends, etc. This change in plans means a change in the overall market for the consoles. Both systems being on similar footing in regards to DRM is a good thing right now. The two of them may not be separated by much from a competition standpoint, but this will help consumers (and especially non-gaming parents) make decisions based on what matters: the games. This has been a very basic breakdown of the timeline for the DRM debacle that has impacted the beginning of this console generation. Check back later this week for further comparisons regarding these two systems and my initial recommendations. In the meantime, sound off in the comments. I would love to hear what your thoughts are on the topic. EA opened their press briefing at E3 2013 with a huge surprise. PopCap Games came on stage and announced a spin-off title for their immensely popular Plants vs. Zombies series: The third-person class based shooter Plants vs. Zombies: Garden Warfare. Peashooter: This plant appears to be an all-around character. He has a reasonable long range attack and could plant other peashooter drones to lay down cover fire. Piranha Plant: This was a close range brawler. What adds some challenge to this class is that, just like in the original title, whenever the piranha plant eats a zombie it can’t attack again for a while. This requires a lot of advancing and retreating in order to stay safe. Cactus: The cactus is a sniper. One thing that I liked the most is that each of the snipers shots leave a red trail of dust. This might seem insignificant, but when playing a team based level like that the ability to know where your lone sniper is feels pretty useful. We don’t have a confirmed release date yet, but PopCaps website has confirmed that the game will release for Xbox360, Xbox One, and PC sometime in early 2014. If you happen to be one of the many people who just can’t wait that long for more PvZ action, then you are definitely in luck as the official sequel Plants vs Zombies 2: It’s About Time will be released on July 18th. Kingdom Hearts is a mash-up of intellectual properties that should never have worked. It takes characters from, and inspired by, the Final Fantasy worlds of the past and jams them into a fictional universe that includes Mickey, Donald, Goofy, and just about every other Disney property imaginable. I am a huge fan of both Final Fantasy and Disney and even I was skeptical to begin with. But, despite all of those challenges these games have been massively successful. The only real problem fans have had has it that we have been waiting for a true sequel since Kingdom Hearts II released back in 2006. There have been any number of games released on handheld titles in the meantime, and they have all been great, but fans of the series have been wondering when Square Enix would pull the trigger. We have almost no details aside from knowing that it will release on both PS4 and Xbox one and very nice looking trailer where the protagonist Sora runs around a cityscape while preparing to fight some heartless. Take a look at the trailer from the Kingdom Hearts 3 website and see what I mean. I’ll be sure to keep everyone posted as more details emerge.